Just wanted to give a shout-out to my wife for getting to 1,000,001 lifetime meters yesterday! I'm so proud of you, Carol! Yay wife Carol!!! Can she swing a hammer or what! She's a rocker! Just over a week to go guys. You know what's coming next right? Keep on rock'n and roll'n. She's A Meter Millionaire! ONE Million Lifetime Meters! Whoop, whoop and what a fine palindrome! Congratulations, Carol, on erging ONE MILLION AND ONE lifetime meters! It's an awesome thing to become a meter millionaire...sort of a secret elite group of ergers! We wish you MANY, many more millions and celebrations! Another travel day as I leave the land of tobacco farming, and head back to the land of the Rockies...where it is no longer Rocktober...but Rocktover as the Colorado Rockies have been swept by the Brewers. Sigh. This was a bittersweet kind of trip back to my Mom's homeland to celebrate the life of her sister. As with most of these types of trips, there were a couple of humorous moments. My Mom uses a cane, but since we had to cover a little more distance, one of my cousins found a blue walker for her to borrow. One of my uncles has a red walker. We were exiting (slowly) a restaurant one evening and Mom and my Uncle had their walkers side by side. My mom looks at my Uncle and says "Let's race!" A young couple were heading up the stairs and the guy turns to the gal and say's "My money's on the blue one." Snort. Ron 16,861 m ...a palindrome! David A 29,232 m ... he moons us! 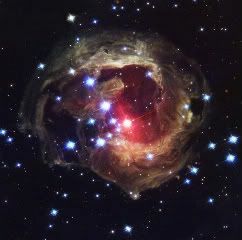 Ed 52,195 m ...he supernovas us! Zach 53,683 m ..he supernovas us, too! I know. Not all the right graphics for the supernovas...but. With just a week to go....there IS opportunity! Congratulations, Ed and Zach on achieving ONE million meters in the Fall Challenge! Welcome to new teammate Victor! We wish you much good camaraderie and many good erging sessions! danwho 15,551 m ...a palindrome with lots of high fives in the middle! Ron 17,071 m ...a palindrome! Todd 35,000 m ... he moons us! Peter G 45,624 m ...great update! Victor 625,256 m ...almost a palindrome! Welcome to the team! 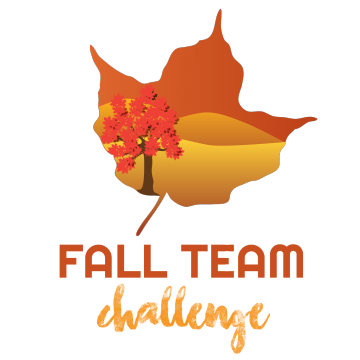 39 members of the Lunie Fall Challenge Team have reached 100K and more! If you are striving to be in the top ten percent of all participants in the Concept2 universe, you'll need to have reached 180,500 m today. Tony W hit a big Challenge milestone of 500K today, and Ed is at number 6 in the top ten participants with Zack coming in at number 9. Not easy to generate any kind of meters, but this team is putting some awesome effort into it ! Jason m ...a palindrome to put a little hip hop in your day! Ron 22,092 m ... he moons us! Ed 52,195 m .. he full moons us, plus some...supernova! Zach 55,650 m ... he full moons us, plus some...supernova! Final push, everybody - only a few more days of pain and then it's all over! First snowflakes of the season here yesterday...winter is coming! Meanwhile, we are as TallErgs says, in the final push. Lucky 7 may have slipped our grip, but special 8's always mean something to this team! Keep crankin' the meters! Welcome to new year round teammate Russ! Russ has been participating as part of the Challenge team, and is joining us on our lunar journey! 500 K Tim ...a cool half million! Ron 21,097 m ... he moons us! Victor 22,956 m ... he moons us! Todd 28,000 m ... he moons us! Ed 52,195 m ... supernova! Zach 57,631 m .. supernova! Russ 100,376 m .... welcome! Do you guys mostly row or use other erg types as well? Today I watch some videos about SkiErg. I'm just wondering if it would be unnecessary for me or a good complement to the rowing machine. I only row. And sometimes use an exercise bike. I own a treadmill as well but running is just not for me (I walk, but that happens outside generally). I have been interested in the Ski Erg, but am worried that with my feet stationary, the strain on my feet and back will be similar to standing still, which is something my feet do not like at all. Wim (attempting to get back into rowing shape). And then there were FOUR days (including today) remaining in the Challenge! Ed is hanging in there at number 7 and Zach is at number 9 in all the Universe. Even better - we have 40 teammates who have made it to the 100K milestone in the Challenge, and 14 teammates are in the top ten percent of all competitors! Good stuff! Truthy's question on ski erg as a complement to rowing machine reminds me....it's never too soon to get your "Santa" requests in to Reindeer Central! You, too, might find a Concept2 big box under your tree ! Or on your porch (get help - the box is heavy!). Sometimes it's all about what will fit in your designated exercise area, or your gym. Or maybe you just want to try one out before you order it? When I was looking at the Bike Erg, I couldn't find one nearby to try. I relied heavily on the praise that Minnie heaped upon the machine (and knew that if it was totally not working, it could be sent back!). While Skierg Finder and Bikeerg Finder are listings that are US/Canada specific, MANY Crossfit gyms have the Skierg and you might have luck there. Carol 5,115 m ...a palindrome bookended with high fives! danwho 15,551 m ...a palindrome with high fives in the middle! Ron 19,991 m ...a palindrome! Patrick Hsr 25,000 m ... he moons us! Ed 52,195 m ... he moons us, too! Zach 60,006 m ...a palindrome of a supernova ! Today I am in Nebraska - land of big hay bales and the dinner cows that munch that hay....back to Denver later today. I also have started to add a brand new shiny BikeErg into the mix. I thought a lot about the SkiErg too - how it would fit in the room did play a part in the decision between those two. About that heavy box: I decided to work from home the day it was going to arrive, and so the delivery driver also got an early Christmas present... nothing like an extra pair of hands. Do you guys mostly row or use other erg types as well? Today I watch some videos about SkiErg. I'm just wondering if it would be unnecessary for me or a good complement to the rowing machine. I also have started to add a brand new shiny BikeErg into the mix. I thought a lot about the SkiErg too - how it would fit in the room did play a part in the decision between those two. Have I mentioned that I absolutely LOVE the bikeErg. It complements the rower, for sure, and is easier on my knees. The physio mentioned that running (hah, not me!) and rowing tighten your hips, and consequently, your knees. (Your hip bone being connected to your knee bone, etc.) We had a NordicTrack skier, years ago, and I kept hyper-extending my knees ... plus, Concept2 very honestly replied to my query, and said the skiErg isn't known to be knee friendly. Knees are on my pet-peeve list as a terrible design flaw in the human body. Last edited by BAZzy on October 12th, 2018, 8:03 pm, edited 2 times in total. I think that you could charge membership to work out in "The Shed!"